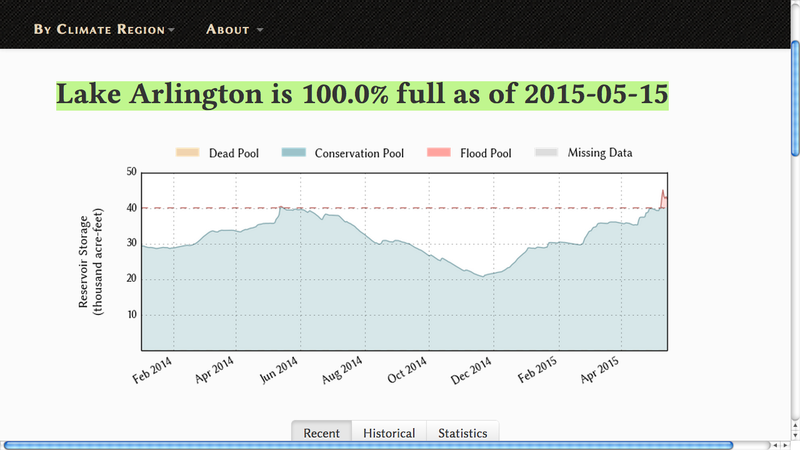 UPDATE Here is a link to the current state of Lake Arlington’s lake level. Two years ago I made this video where Google Earth uncovered pipes removing water from Lake Arlington and going to a frack site….during a drought. Lake Arlington water gets pumped in from other sources and so we can somewhat control the levels as long as our sources aren’t having water level issues. What we “should” be watching is who is fracking by our surface sources because surface spills can and have happened. In fact a Ft Worth drill site spilled into Lake Arlington back in July of 2010. And then there is the fact that we actually store fuel in UNDERGROUND tanks ON our water treatment plants that could leak. We should also be watching if fracking could be risking the ground water acquifers that recharge our surface water sources….aahh now you get the fracking risk to our drinking water? Next we should wonder if we should be screening for more types of pollution that drilling could be having on our ground and surface waters. The EPA may be trying to do this with the UCMR3 program, but some cities that didn’t start right away might not report back as late at the end of 2015. And how long have we been fracking? Still Formaldehyde is not on the radar? This turns my stomach since it was detected in the air at Lake Arlington above the Houston Shipyard Channel levels. Currently most municipalities have been status quo with what the state mandates them to test for regardless of our pre and post urban drilling activity…..ouch. 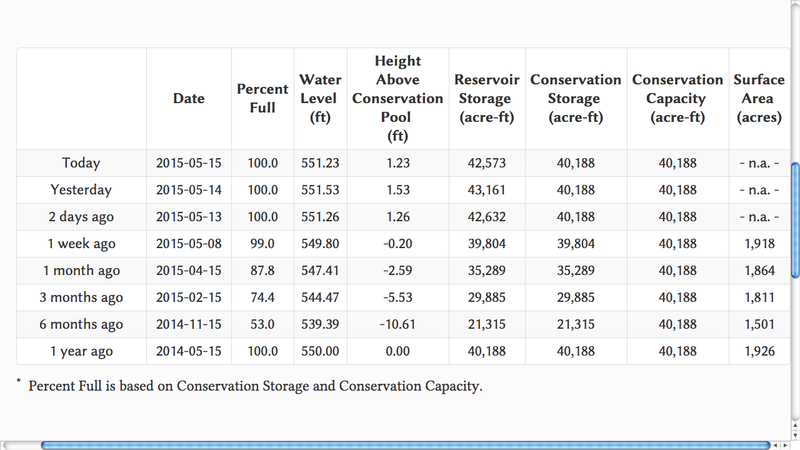 This entry was posted in Uncategorized and tagged drought, lake, lake arlington, levels, pipes, pollution, usgs. Bookmark the permalink. What are the levels, now? Over pool…. Like many things, water levels are cyclical in nature. says is 100% pull as of 5/15/2015, I have updated this blog with two new pics thanks for contacting here.